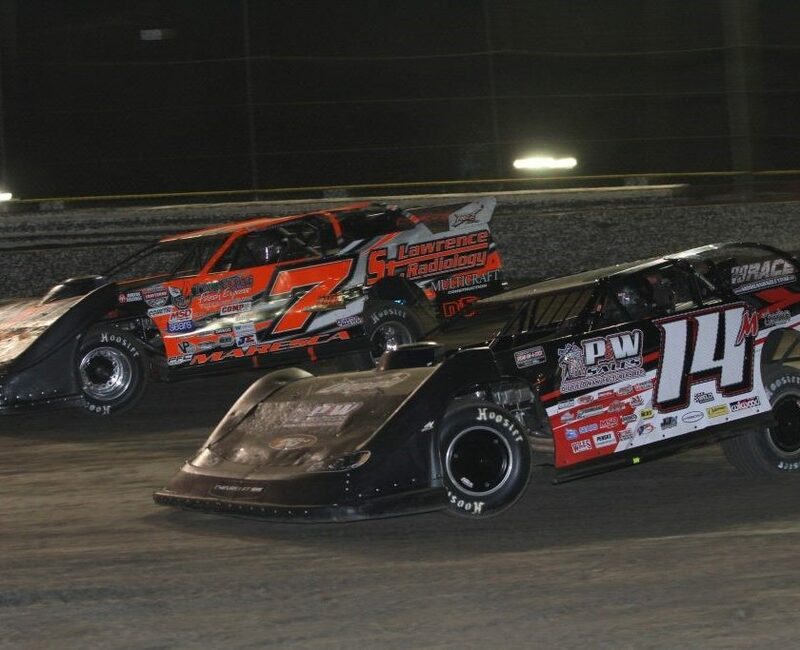 (Plymouth, Indiana) After a week-long concentrated effort to help condition the dirt surface at Plymouth Speedway, five classes of drivers found much racier conditions which provided for an exciting night of racing at the fastest dirt track in Northern Indiana, which wrapped up just after 10 p.m. ET. The Thunder Stock 20-lap feature was caution-free and only two cars were on the lead lap by the time the first place car crossed the start/finish line. The winner, Bryce Shidler, who was scheduled to graduate from school on Sunday, ran the high groove and found speed to get the top spot. “Thank you to my sponsors and people that helped work on the car this week. We made a lot of changes to the car,” explained Shidler, who also won a heat race earlier in the evening. Joe Rhoades was second on the podium and Kevin Kerlin captured the third spot. 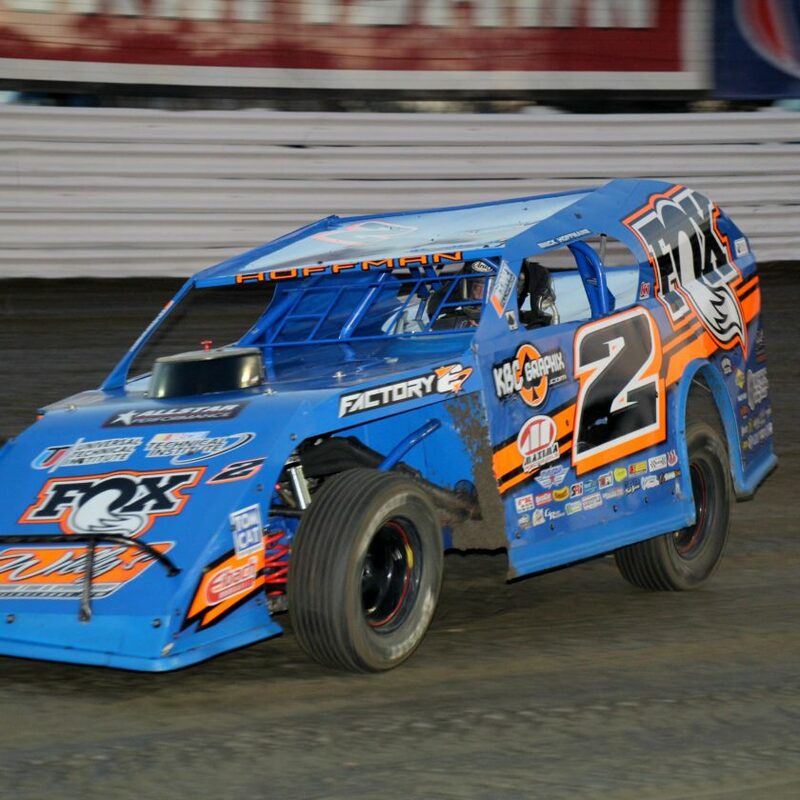 The modifieds 20-lap feature ran with a close finish and was plagued with eight cautions caused by rough restarts. Points leader, Frank Marshall, spun early in the race and was put to the tail end of the field but fought back with a third place finish. Tommy Beezley II and Adam Williams fought each other hard in the final laps and Williams finished just ahead of Beezley II to get the win. Williams had also gotten into a little bit of trouble when another car got into the back of him as he came out of turn three on lap 9. The USAC 600 Sprint feature found Nicholas Schaefer atop the podium after 20 laps of caution-free racing. Points leader, Garrett Saunders, who suffered carburetor issues earlier in the night, ended up in the second spot while Nick Katrakis rounded out the top three. In the USAC 600 Open feature, the cars of Jason Montel and Jordon Lambert got into each other right before the green flag flew as they were gearing up for the start of the race which ended the night for Montel. Two cautions came before the start of the race, and the number 3 of Gary Gibson had trouble which brought out the third caution. He was pushed to the outer part of the track so racing could resume. Randy Shilling came away with the win with Billy Cribbs second and Eric Saunders third. It was a rather emotional finish for Eric Saunders. Saunders was paralyzed in a Motocross accident a few years ago and he is getting back into racing full-time in a 600 sprint. This is his first podium finish of the season. Shilling was also happy for his fellow competitor and was happy to get the win. It was an exciting finish in the Street Stock division as David Short passed Michael Clark to take the top podium spot. These two drivers battled it out throughout the race as Clark had the lead for most of the night. Short passed Clark on lap 15 but a caution came out and the scoring went back to the lineup before the caution which put Clark back out front. Short went to the inside of Clark in turn one on lap 18 and crossed the finish line first as the checkered flag flew on lap 20. The field was under a red flag for a tangle between two cars in turns one and two and as the caution came back out on lap 17, Short had to push Clark to help him get started. It was Michael Clark who came in second and Don Hillery came in third in his first race at Plymouth Speedway. The officials are constantly working to make the racing surface the best it can be and will continue to do so until it’s right. Larry Kemp from Eldora Speedway was at Plymouth Speedway this week to help in that process. Join us for more great racing on Saturday, June 1 for a full night of racing. Visit www.plymouthspeedway.net for details or follow us on Facebook and Twitter for updates.